Thanks to everyone who voted in our special poll to find the book that makes you happiest. We can now (drrrrrrum rrrrrrroll) announce the winner! DUN DUN DUNNNN…! 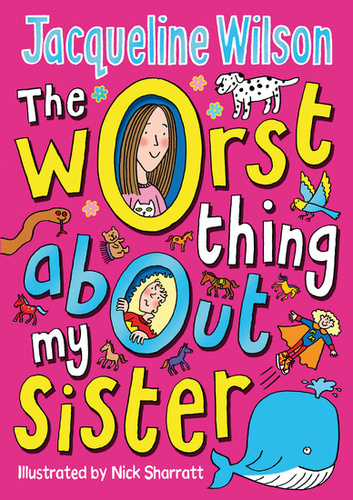 We weren’t expecting it, but Sarah McIntyre has chosen a winner for her Finish the Story competition AND a runner up! 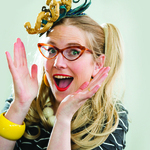 Congratulations to Lena from Twickenham (aka Madam Kangaroo Nuggets) for writing Sarah McIntyre’s favourite ending to her Finish the Story comic. Congratulations to Inspector Pongo Toothpaste, who has won the first of this year’s Summer Reading Challenge Finish the Story competitions! The little cartoon dude above is Timmy Failure, as drawn by one of favorite writer/illustrators; Stephen Pastis. 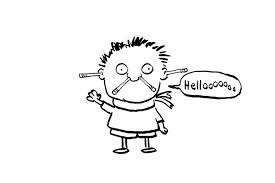 Watch the video below to learn how to draw your very own Timmy, courtesy of Mr Pastis himself!